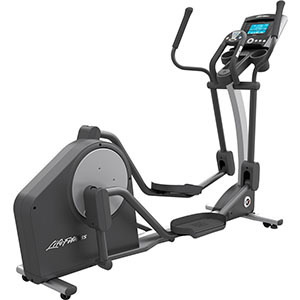 The Life Fitness X3 Elliptical Trainer is ON SALE! This is What Other Ellipticals Strive to Be! The Life Fitness X3 elliptical trainers are what other ellipticals strive to be. These are quality machine that are built to last and to provide the best elliptical workout possible. When I tested the X3 and wished I immediately wished I had an extra $3,000. I just got off a Vision Fitness elliptical. Vision builds a nice machine, but the Life Fitness X3 is in a whole other category. The elliptical motion is about as smooth as it gets, and talk about quiet. Even when I adjusted the resistance I couldn’t hear any noise. 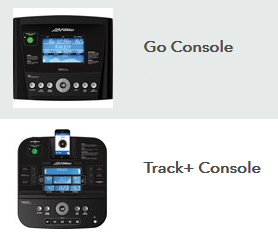 The Life Fitness X3 with the Go Console typically sells for $2,199 with shipping. Life Fitness is about superior engineering and design. That comes into play when you workout on the X3. The elliptical stride is long and flat, simulating a natural walk or run. The handlebars are a positioned perfectly. Some machines you feel like they are located too close or too far away. The stride is perfect at 20″. There is no comparison to machines with a shorter 16″-18″ stride. Another feature we particularly liked about the Life Fitness X3 is the very simple and easy to use display and console. They designed to be intuitive, allowing you to focus on getting in shape and not programming. You can choose between the Go and Track+ consoles. The Track + console is compatible with Apple and Android devices. It also syncs well with popular fitness apps that you may already be using. If you are happy with a simpler display, you will want to choose the Go console with its more standard LCD display. You can’t go wrong with the X3. This is the perfect elliptical trainer if you want the best and the most durable. The only alternatives are Precor and Octane. If you have the money, plan to use your elliptical regularly and/or have multiple users, then we can recommend the X3. Great machine, smooth, quiet, good aerobic workout for the long term. Life Fitness is a solid company with a great product. My parents have had the X3 for 9 years and it’s still going strong. Our new X3 has the advanced console, quite a step up from 9 years ago. It’s super smooth, very quiet, easy on your joints and has a full range of options from manual to a variety of preprogrammed modes. Also see the Yowza Fitness Captiva Elliptical Trainer Review.